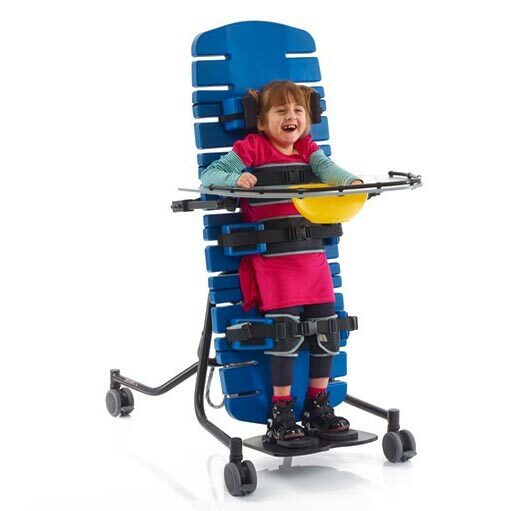 A great way to improve a child’s outlook on the world and their physical development. 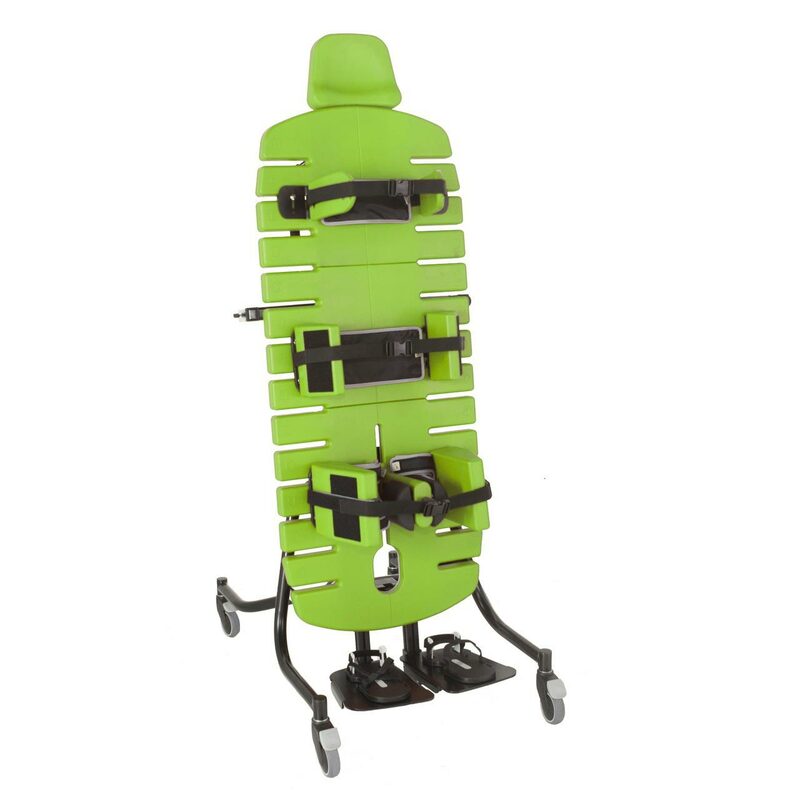 The Jenx Supine Stander is designed to support standing by enabling the joints to be supported but mobile – this helps train balance and encourages development. 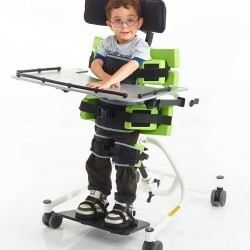 It is packed with innovative features and thought given to the individual support needs of a child. 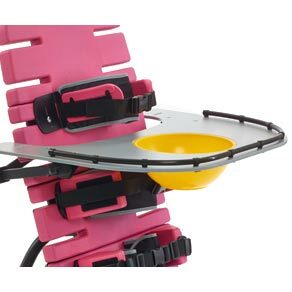 The Tilt-In-Space function means the angle of the support surface can be adjusted from horizontal through to upright 90º. 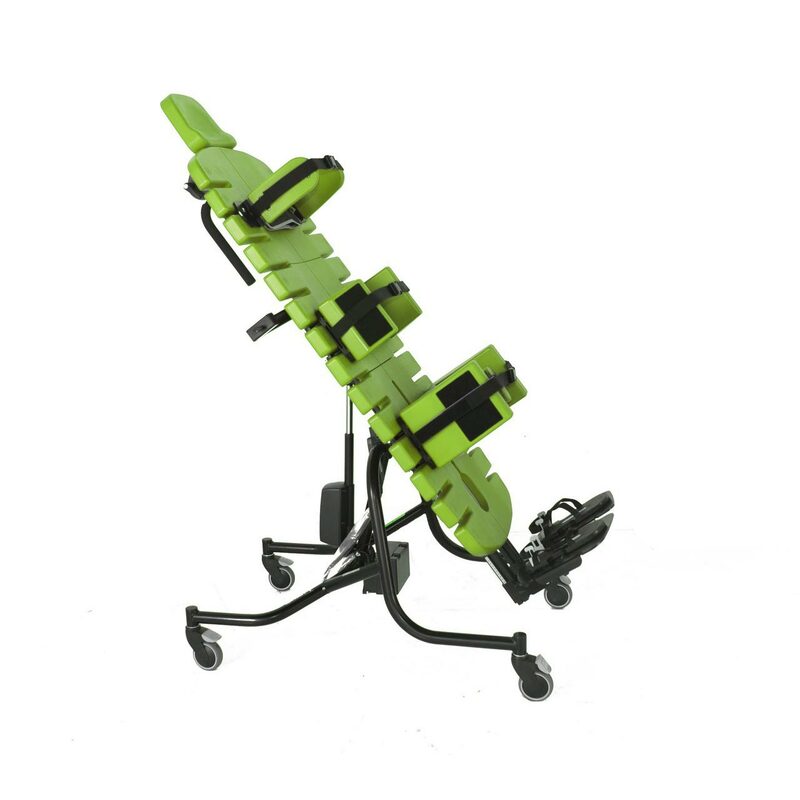 Because the adjustment is infinite, each Supine Stander can be set to exactly the right angle which helps provide postural support and pelvic stability. 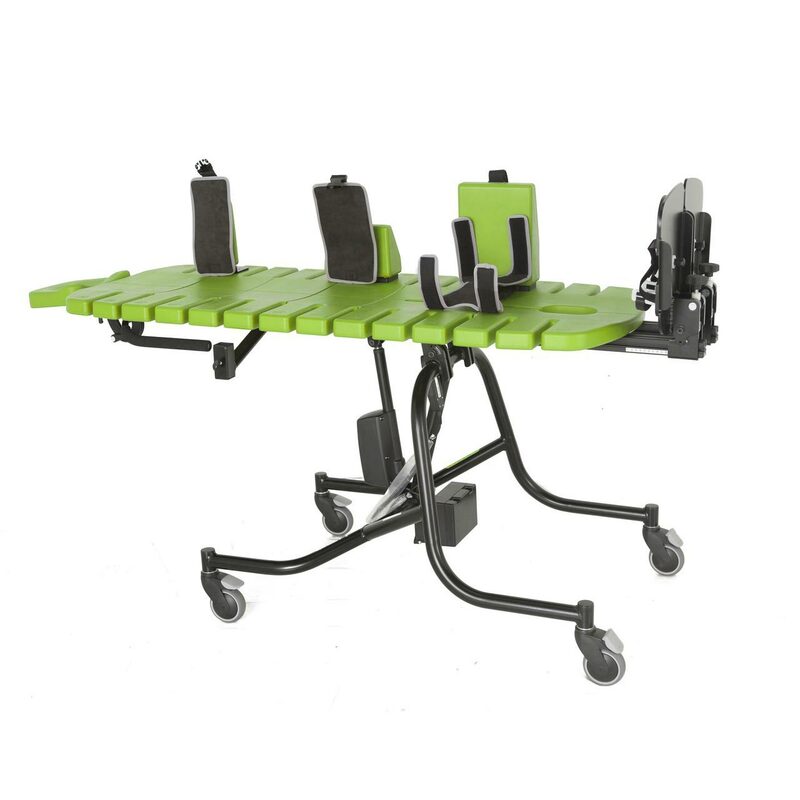 It also means the exact angle required by the individual can be set, progress monitored and the angle re-assessed and adapted in line with the user's progress. 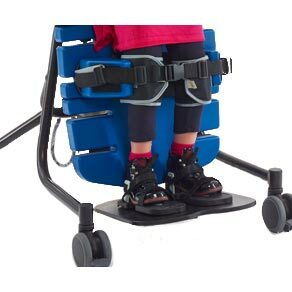 Each frame can be fully reclined to the horizontal position and all supports removed which helps minimise transfer time and manual handling risks to the user and carer. 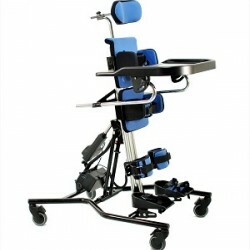 As the Supine Stander is a modular product, you get to choose specific accessories to meet exact requirements. 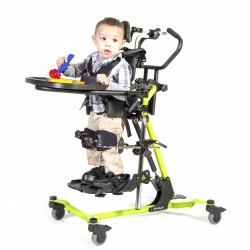 Angle can be adjusted with the child in the standing frame. 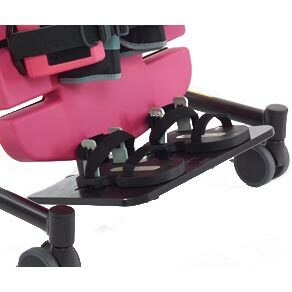 Easily set up using the angle gauge on the frame. 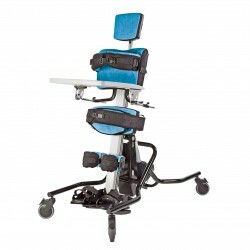 Frame can be tilted to be completely horizontal. 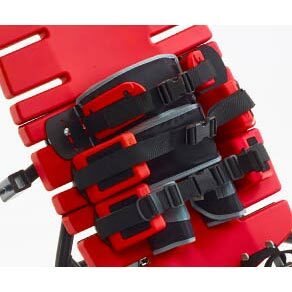 Power assisted option or manual option on Size 2. 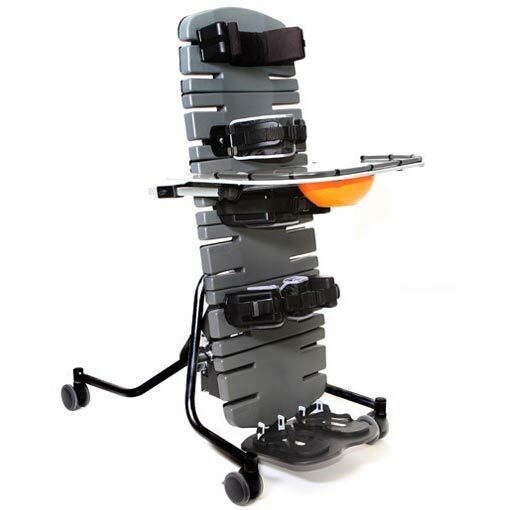 On Supine Stander size 3, numbered boards enable set ups to be recorded and recreated in a multi-user environment. 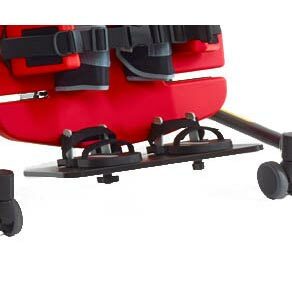 Straps fasten in the centre and adjust independently from either side, enabling a mid-line position to be achieved and maintained. 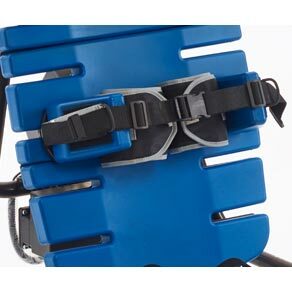 Buckles fitted with hook and loop fasteners which mean that once adjusted correctly, the straps can be fixed ensuring they are safe and secure. 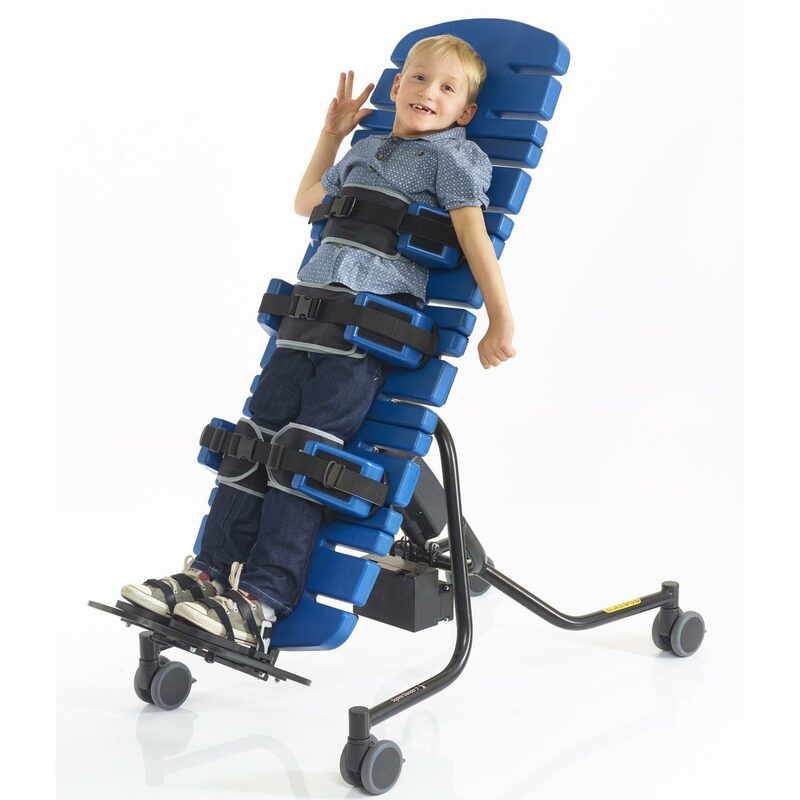 The Jenx range of Supine Standers provide robust support and safety, in three sizes. 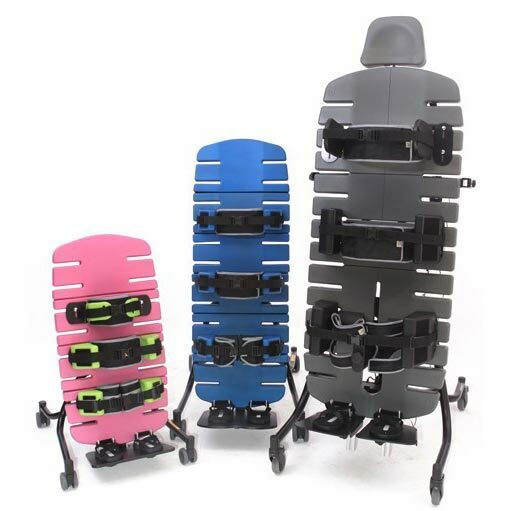 Range of vibrant new colours – boards can now be ordered in Pink, Red, Blue, Lime or Neutral (grey).